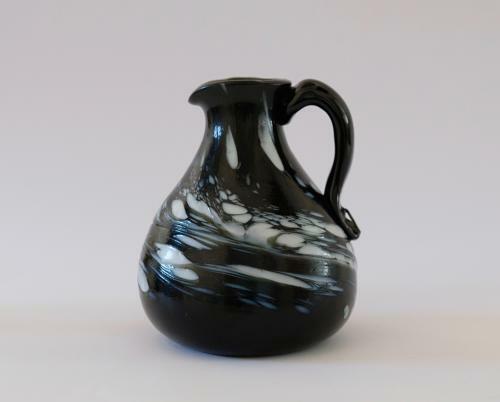 Nailsea jug. In dark green glass flecked with large chips of white enamel. English C1820.